One of the advantages of living in a small space is that it’s easier to heat and cool. But even a small space can become extraordinarily uncomfortable in temperatures hovering above 32 degrees. Although people flock to sunny shores in search of warmer climes, extreme temperatures can be annoying and even dangerous for those with heart conditions and asthma, especially when coupled with humidity. 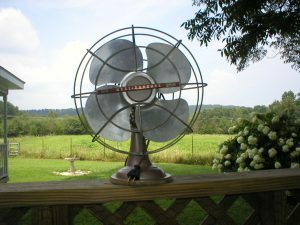 There are many passive cooling techniques you can employ on less extreme days, and for the hottest days, there are low cost solutions – some which are even off-grid! Use a minimum of light bulbs in your home. Even the new energy efficient bulbs give off a significant amount of heat over several hours, and with a small space, the heat generated becomes even more significant. So be conscious of how many lamps and overhead lights you are using. Though a simple, common sense suggestion, it bears mentioning to keep blinds and shades closed during the day when you are away from home to block strong sunlight, keeping in mind that lighter colour shades will reflect the sun, while darker shades will tend to absorb the heat. Opening a window for ventilation will help when there is a nice breeze, but in stifling heat, there is usually little natural air flow. On a day like this, an electric table fan can be your best friend. But did you know one of the most effective ways to use it is to turn the fan toward the outside in front of an open window? This ‘poor man’s air conditioner’ will pull heat that has collected in the house during the day to the outside. Once you have run the fan for 30 minutes to an hour, turn the fan around to the inside of the room for a gentle man-made breeze. On an extremely hot day where your fan is basically just circulating hot air, try using a small spray bottle of water to mist yourself. The evaporative effect of the water will help add extra cooling power to your fan. This is a common expression often heard in tropical climates, and one that holds some truth. If the outside weather conditions are especially humid, the air can feel oppressive and heavy. There are small countertop dehumidifiers which collect about 1 liter of water and are easy to empty and store because of their small size. Though removing one liter of fluid would barely be noticed in a conventional size house, it can make a noticeable difference in a micro home. Many people feel that if they use an air conditioner, they have somehow surrendered to the elements. There may also be a twinge of guilt at the energy consumed by using an air conditioner. But with new energy efficient models that are specially made for cooling extremely small spaces, you can enjoy the comfort of a cool house without the guilt. Ductless, mini-split air conditioning and heating systems will both heat and cool your small space, and though the initial investment may be significant, they can keep you in comfort year round and are designed to run efficiently, saving money over the long run in energy costs. There are small air conditioning units that run from solar power! 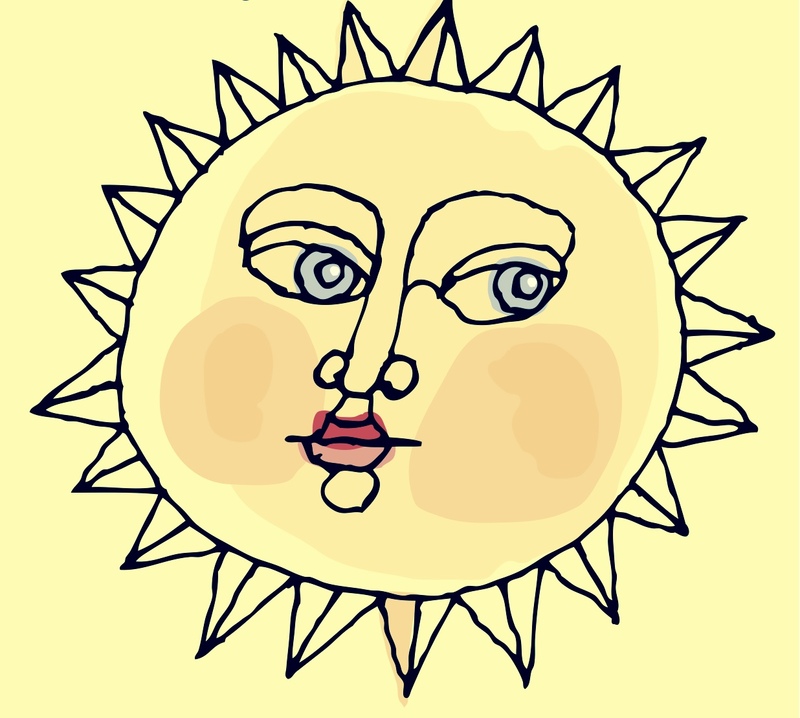 It makes sense because of the linear relationship between the sun and the need for cooling. The stronger the sun, the more solar power that’s produced which can easily operate your off-the-grid cooling unit for those hot, sticky days. For more great appliances that are specially made for small space living, visit our Pinterest site. Stay cool!